AMC continually upgrades the quality of our theatre circuit by adding new screens and by disposing of older screens through closures and sales. We do, however, look at our theatres on an individual basis. Unfortunately, the AMC Uptown 3 has been identified as a theatre that no longer competes effectively in the marketplace and will close at the end of business on Nov. 28. Even though this theatre is closing, we thank all of our loyal guests who have come to the theatre. 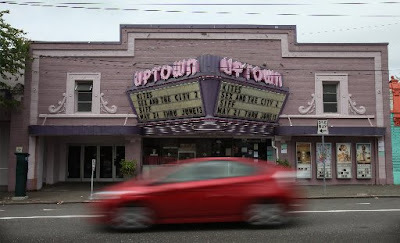 I’ll miss the Uptown (though I’ve noticed it’s been deteriorating in recent years), which originally opened in 1926 as a single-screen, Art Deco-styled moviehouse. Two additional screens were later added. I’ve asked AMC what their plans are for the property and will update with any additional news.